Harvest Blessings and Hip to be Square. NOW SHIPPING!! 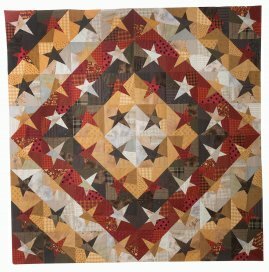 Completely Crazy, Janet Rae Nesbitt's newest book features seven projects, all made using her "Crazy Piecing" technique. 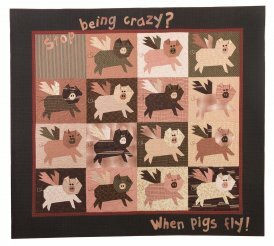 Janet has included some of your favorite elements including dimensional ears on both the pigs and the reindeer and dangly legs on Santa and his reindeer as well as just plain great crazy piecing with soon to be new favorites such as "Craziness all Around", a star quilt that was designed specifically to make trip around the world quilts, but is also just the right size to be paired with the crooked nine patch in "Crazy Charms". 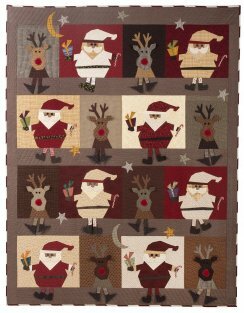 The "Countdown to Christmas", an advent type calendar is sure to be a favorite, as are "Bachelor Buttons" and "Tumbling Blocks" that is pieced with modern fabrics but has such a nostalgic feeling. You won't want to miss this book! Kits for most projects will be available and will be added to the site as they become available. 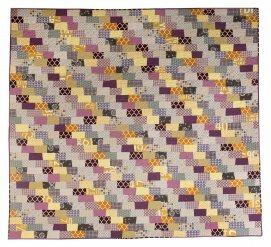 "Crazy Charms" These crooked 9-patch blocks can be made with a variety of charm packs or obese eighths. 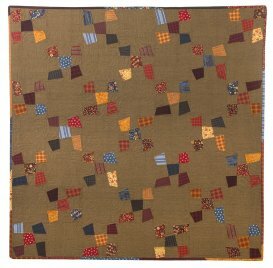 "Tumbling Blocks" modern fabrics but with a hint of nostalgia! Santa and Rudolph are sitting up on the roof waiting to drop down your chimney in "Up on the Housetop"
"Countdown to Christmas" Pockets in the chimney blocks provide a place to hide treats or ornaments as you count the days until Santa arrives! 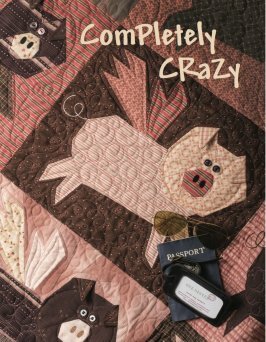 "Craziness all Around" A fun trip around the world setting!